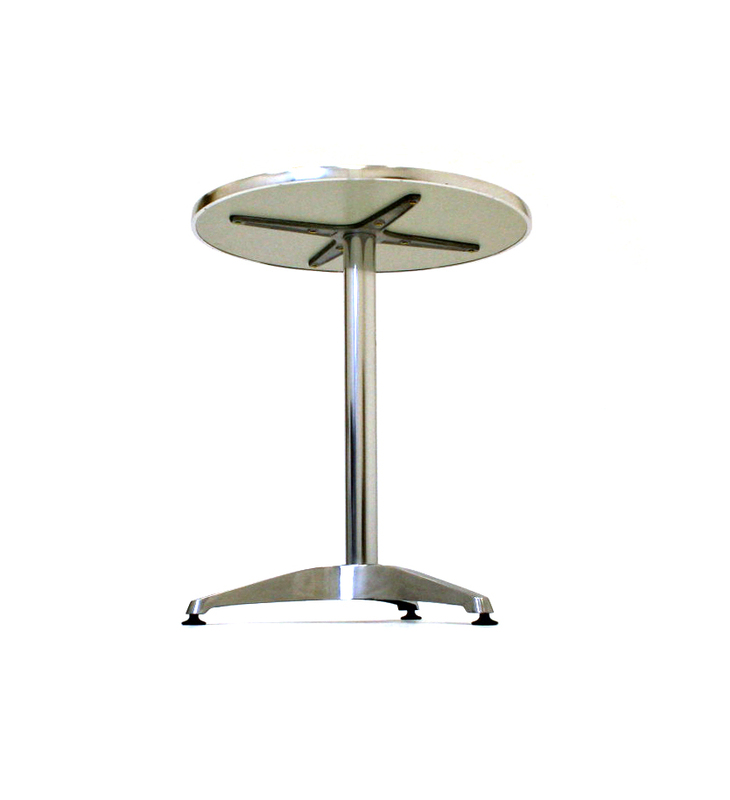 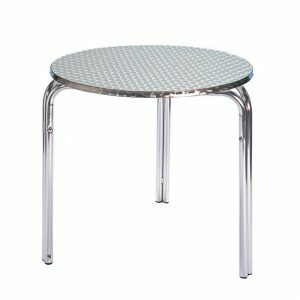 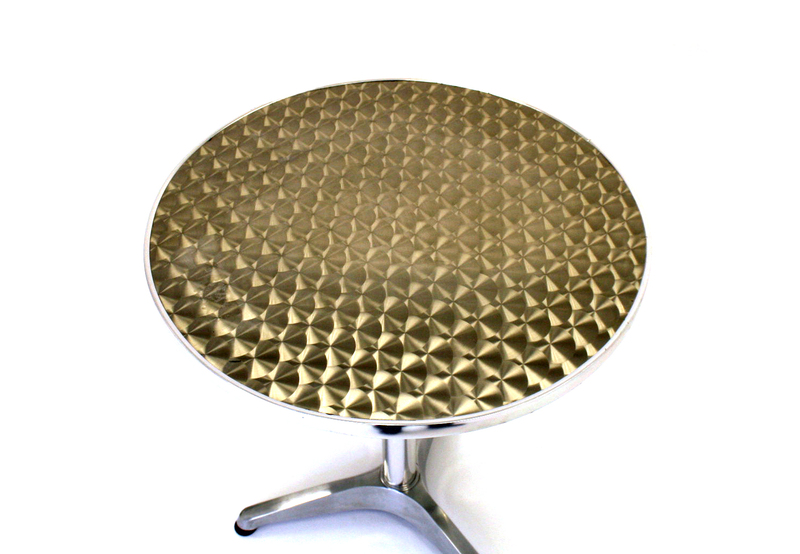 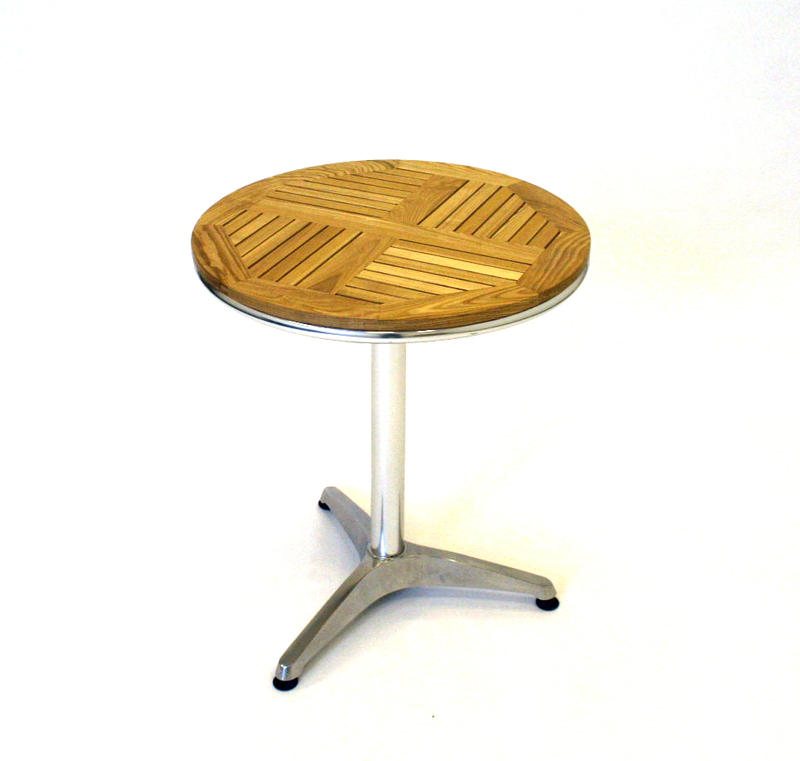 2′ Diameter (60 cm) aluminium bistro table with an aluminium base and 3 adjustable plastic feet. 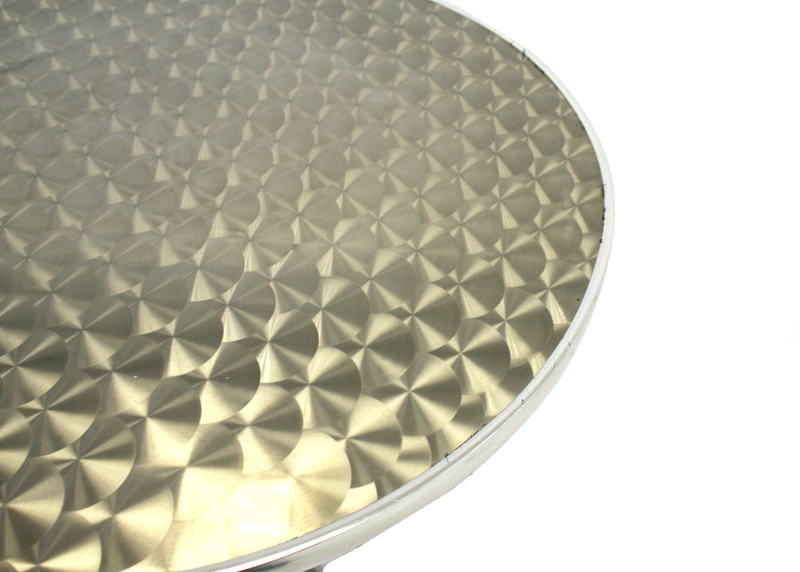 These tables can be used in the garden to brighten up a patio, or in cafe’s, restaurants and bars etc. 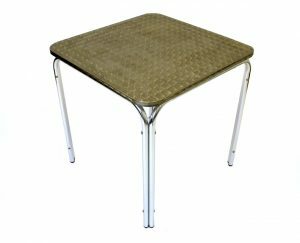 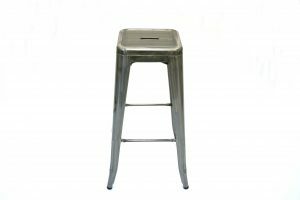 They are 70 cm high and are suitable for use with any of our aluminium based chairs. 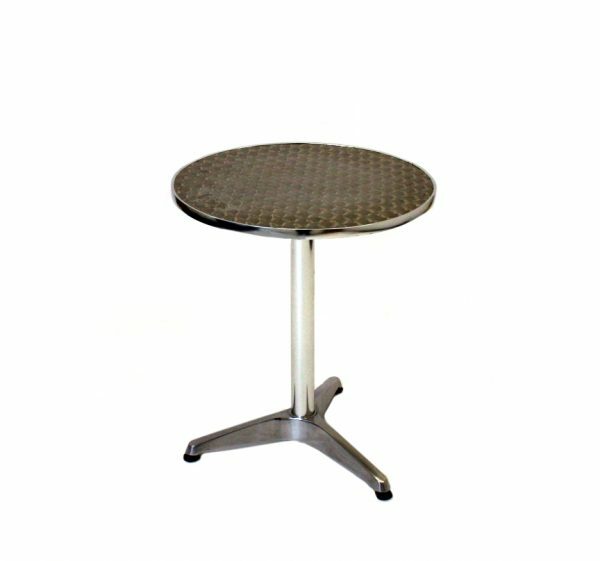 These tables need to be stored indoors or under cover. 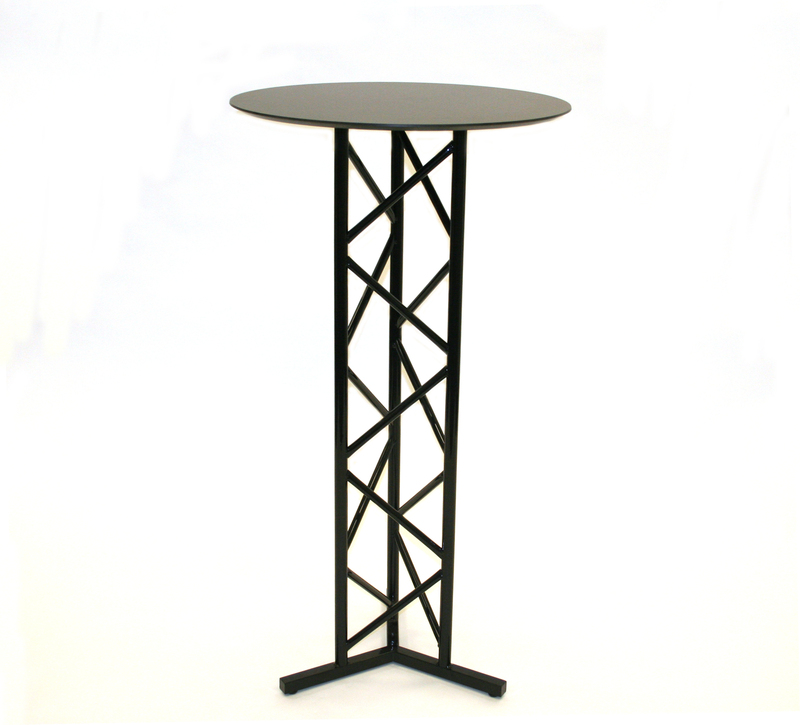 The fully weather proof version of this table is the YB-2006 model.